I have been involved in Ultimate Power Profits and Global One only since July 25th 2012, which is two days short of just one month. By using the website they provide, and sending a few emails to my mailing list 87 people have joined in my downline. 39 of those came in on my first level, and I now have people on 5 levels below me. This is growing very fast indeed. Attend this teleseminar by clicking the link below or dialing your phone to find out why it's growing so fast and how everyone is going to get paid when the launch happens soon. See the letter below that started it for me. "This Webinar Will Explain How EASY It Will Be To Become A Leader in GO And How Well Leaders Will Be Rewarded. PLEASE NOTE: With the volume we will certainly going to have on the calls, we highly recommend that you attend via the Web audio option as your first choice and leave the call in phone number available for those that may not be in front of their computers or access to the Internet. Please do not do both. This is the letter that helped me sign up 87 people in Ultimate Power Profits in less than a month just by sending out a few emails. I am sure you can find a way to use this by putting in your own link in instead of mine throughout the letters below. and quit because they don't make money, and they usually end up with products they would not buy otherwise. but there is usually not enough profit to warrant putting much time, money or effort into it as a business. You can start this FREE. country recover freedom and liberty. I can't verify that personally yet, but thought you might like to know. ++++++++++++++++++++++++ Here is more information about this. Global One Penny Auction Review Here is the info you need to give people to learn about Global One. This is from one of the Global One blogs forwarded to me by Frank, my sponsor. Put your link on this and forward it to your downline, if you have already signed up. If not go to the link above. Global One(TM) (GO) Ultimate Profit Power is the new kid on the block when it comes to penny auctions in the home based business arena. Penny auctions have been around for a long time. However, the penny auction network marketing business model is fairly new. Companies like Zeekler, Bidify and Dubli International have been paving the path and leading the way down this new territory. From a business standpoint, I was intrigued by these penny auction profit sharing models in that I could generate 100% passive income, meaning I did not have to recruit others to generate an income. If you've been in marketing for sometime and are looking to jump into a fascinating new market and opportunity, Global One(TM) and Ultimate Power Profits may be what you're looking for. I know myself as a seasoned marketer, that at first glance I said "haw... not for me". But when I put my entrepreneur hat on and said, "Hey, here's a hot niche with a profit sharing model", I went for it. Perhaps you just like passive income. 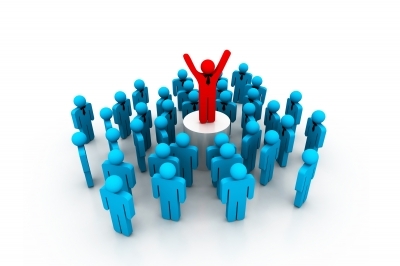 People LOVE the idea of earning passive, residual income without recruiting. Penny auctions like GO, allows everyone the ability to participate and move forward and puts their dreams of making money online within their grasp. In this blog I'll share with you my best understanding of what the Global One(TM) Ultimate Power Profits Business model will look like when it opens it doors shortly. If you're reading this and any information is incorrect or has been updated... PLEASE leave a comment to clarify, correct or expound. Myself and my readers would appreciate it. Scotty Evans began the pre-launch festivities for his company which he calls the Ultimate Power Profits system in July of 2012. At the time of writing this blog, UltimatePowerProfits have landed in the top most visited website in the world coming in at place 450. You can visit Aexa.com to check the current standing. And I have to say, I'm not surprised. I've seen the success and excitement with programs like Zeek and Bidify and Dubli. People are looking for solutions in this economy and they don't want to take years going through the learning curve. 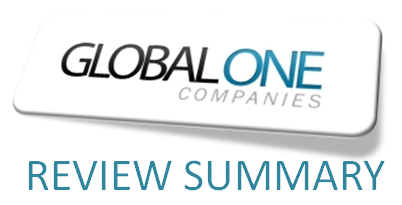 Programs like Global One(TM) is a reprieve from the struggle of having to build and maintain a large organization in order to generate residual income. Multiple thousands of people have rushed to become what's called a "Founding Member" before the Global One(TM) pre-launch doors close. A Founding Member is simple a first mover and action taker position where the company will share in a special profit sharing pool over and above what non founding members get .... for life. The company has made the promise of getting paid up to 26 times a month WITHOUT ever having to prospect, recruit, sponsor, or promote the program in any way. What's Ultimate Power Profits and Global One? Global One (aka GO for short) is the company. Ultimate Power Profits is the pre-launch website where people are going to sign up during the pre-launch phase. But is this program something YOU should get involved in? Well... you decide. Here's some information that may help you make that decision. Global One (GO) promises 100% of all active Members will earn money every 30 day period. The compensation plan for Global One(TM) actually is a 3 in 1. In other words... there are 3 different compensation plansall running at the same time. The best part is that you are not building them separately... but rather building them at the same time. So if you decide to refer and share this program with others, you can build one team yet profit from all 3 compensation plans. Remember, you don't have to promote or build any team if you don't want to... but if you do the income potential is quite staggering. With Spinfinity, basically, all members of the business are placed in one straight line based on their join date. The membership is then split into 3 zones. The top two zones are pay zones, and the bottom zone is a non-pay zone. Every three days, the membership spins or rotates, where the top group moves to the bottom, the bottom group moves to the middle, and the middle group moves to the top. An algorithm is used to assign dollar values to each position, where the top position in the top group has the highest payout, and the payout amounts descend to where the bottom position in the middle group has the lowest payout. Therefore, you will receive a payout every 3 days, unless you are in the non-pay zone. This ensures that every member will get paid a minimum of every 6 days, or 6 times per month, through Spinfinity. As far as the earning potential, it can vary greatly. It all depends on where you end up after each spin. It is possible for a member to join at the tin level for just $10/month, spin and end up in the top position, and end up earning over $1000 in just one day! As with all the compensation plans, members also receive 20% matching bonuses on all of their referrals down to 5 generations deep. The GoGlobal Profit Pool is the compensation plan that requires the work, though you do not need to refer others to earn. Through the GoGlobal profit pool, you accumulate points by giving away bid tokens to the iGoBidWin auction site. For every free token you give away that is used, you earn 1 point per token. Whenever a customer purchases tokens from your site, you earn 5 points every time these tokens are used. If you do not want to give away tokens, you can spend 5 tokens to put them in the companies "marketing machine" and they will market and give away the tokens on your behalf. Every 3 days, you are paid based on the number of points you have accumulated in that pay period. 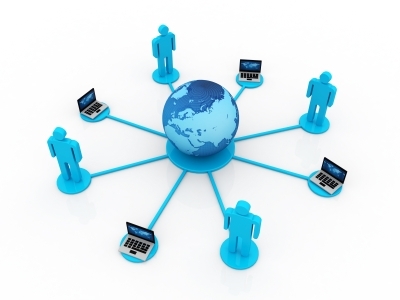 Therefore, with no referrals, you can receive up to 10 payouts per month through the GoGlobal profit pool. Also, like with Spinfinity, you also earn 20% matching bonuses on all of your referrals down to 5 generations deep. spillover and spillunder from your team. 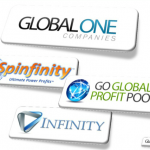 GoToInfinity pays out every 3 days, or 10 times per month. Like with the other compensation plans, you also earn 20% matching bonuses on all of your referrals down to 5 generations deep. However, you also earn 20% matching bonuses on everyone on your 4th level of the matrix, even if they are not within your first 5 referral generations. Therefore, with no sponsoring, members can receive up to 26 payouts per month as a standard affiliate. However, if you refer others, you can receive up to an additional 26 payouts per month for every referral down to 5 generations deep. There will be The biggest questions right now people have having is what will the monthly participation packages look like. This is the 'lowest' level you can participate in, but you'll still be able to participate in all 3 compensation plans. Note: You receive 10 profit-sharing points for all every bid you used on your site - by you, customers and affiliates tagged to you. You get 60 bid tokens to redeem at "I Go Bid Win"
Example: If you refer 5 members, you receive a 25% MATCHING BONUS of all of their paid commissions in the "My Turn On Top" payout cycle every three days! You get 120 penny auction tokens for "IGoBidWin"
Example: If you refer 5 members and they each referred 5 members, you receive a 25% MATCHING BONUS of all 25 of their paid commissions in the "My Turn On Top" payout cycle every three days! You get 180 penny auction tokens for "IGoBidWin"
Here's news for you big builders out there who thrive in top leadership and go for the big rewards. Global One(TM) is taking care of you. While most people don't want to build, share and recruit, if you're like me, you understand the power of referring others and growing the residual and passive income faster. This section will be for you. As a crowned JEWELED Platinum member - you can expect to be paid an average of 50,000 times per 30 day spin cycle. In order to qualify for Jeweled Platinum, there's a couple qualifications..
To receive an additional 20% MATCHING BONUS on all level four affiliates, you must have a minimum of 10 active Platinum members. You can position yourself to be in the LEADERSHIP PROFIT POOL by helping your personally referred Platinum members refer 10 Platinum members. This adds up to more income for you. As you read through this Ultimate Power Profit Review, you wonder if the levels of participation in the Global One(TM) program ever stops. Well not yet. If you're a leader and a builder, the monies you can earn in addition to everything else keeps getting more interesting. Let's look at a higher level reached and what that can mean for you. Example: If the Leadership Bonus Pool is $100,000 for the 3 day Spin period, each qualified active Ruby will share $20,000 (20% of total pool). If there are 20 active Ruby Members, each would receive $1,000! That's an extra $10,000 each and every month! Example: As a qualified Emerald you will receive a 20% profit-share split between all qualified Emeralds IN ADDITION to the Ruby bonus pool profits already earned. BONUS POOL - A Diamond Bonus Pool will be split equally with all Diamond Members, which equals 20% of the Leadership Bonus Pool. Example: As a qualified DIAMOND you will receive a 20% profit-share split between all qualified Diamond members IN ADDITION to the Ruby and Emerald profits already earned. There's also things like Star Leaders. Star Leaders will receive additional legs in the matrix depending on what star leader level you're at. 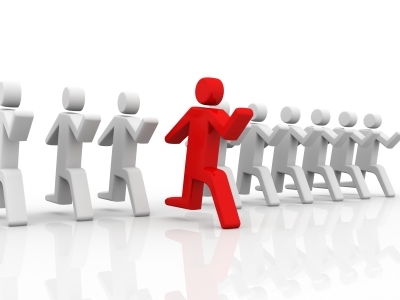 1% of company profits goes into each pool and divided equally among the leaders . Thousands of people are joining penny auction based network marketing companies because of the passive income. It's allowing the hard working 9-5 individual to have a program working for them on the side and giving them options in their lives. Penny auction business models have taken great heat and negative press by naysayers who want to believe they know it all but truth be told, time and successful companies have so far proven that these are worthy programs one can be part of. The risk in Global One(TM) is that it may not make it because it's a start up. ALL start ups have the greatest risk but on the flip side, they have the greatest upside potential for fast and furious growth and income. The laws and rules set by the government may change sometime in the future saying that penny auction network marketing companies can't allow profit sharing or some other rule. But that's true of any business... i.e... what if the laws change to say that if you represent a nutritional company, you have be a certified nutritionist. So that's it. Cards on the table. If you're okay with the risk component and you recognize the upside potential, then you may want to jump in with both feet and sail away. And again... while you don't have to share this to make money, your family and friends will probably be most grateful that you shared this solution with them because they don't want to recruit or sponsor either. Think about them. I'm a big believer of multiple streams of income. If you have followed my blog at all, you know that. To put your eggs in one basket by representing only one company I think is foolish. In life you win a few and lose a few and I'm not willing to risk my business on one company. Period. Because if your one stream does down... it's catastrophic. If on the other hand you have many irons in the fire and one goes out.. it's just a bummer. In the home based business industry, the cost to start a program is so small, generally equivalent to the cost of night out with the family..., dinner and movie. To me, that's not risky. But you decide on your own. This one was only $23.